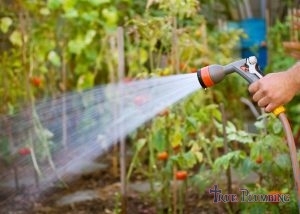 Proper Water Pressure is Easy to Take for Granted. Call if You are Experiencing Pressure Issues! Have you turned on your taps only to find your water is coming out as a dribble? Low water pressure, unless you personally set it that way, indicates a larger problem at hand. When this arises, you should contact your local plumber as quickly as possible. 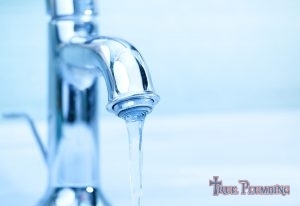 True Plumbing can provides low water pressure inspection in Fort Worth, TX and the surrounding areas. Give us a call today at 817-542-1980 and schedule one for your home! When you find that your home has low pressure, it can be a number of things that have caused this. Before you contact a plumber, there are a few things you can do to determine if there is a serious problem. When you discover your water pressure is low, check and make a note of the time. Like electricity, there are peak use hours that mean everyone is currently using the water. Our Low Water Pressure Inspection Identifies the Cause of Your Reduced Pressure. When you are able, speak with your neighbor about their water pressure. See if this is a problem the neighborhood is experiencing. If you neighbor says their home also has reduced pressure, this could be a problem with the water main, not your home plumbing. If they have perfectly fine water pressure, then you have at least limited the problem to your property. It could be a number of reasons from the previous owner lowering the water pressure at some time or a break in the pipes. At this point, it is best to contact your local plumber for an inspection. When you local plumber investigates your plumbing, they will look for things like corrosion, and mineral build-up first. These are the most common reasons for low water pressure, aside from faucet and tap installed systems like water filters. Mineral build-up within the pipes could cause an excessive corrosion or clog. Leaks from broken pipes could be another culprit, as this would redirect the water away from your home. For reliable and affordable service, True Plumbing is always available to assist you. Call us today at 817-542-1980 for low water pressure inspection in Fort Worth, TX. Updated on July 23, 2018 at 11:54 am by True Plumbing.